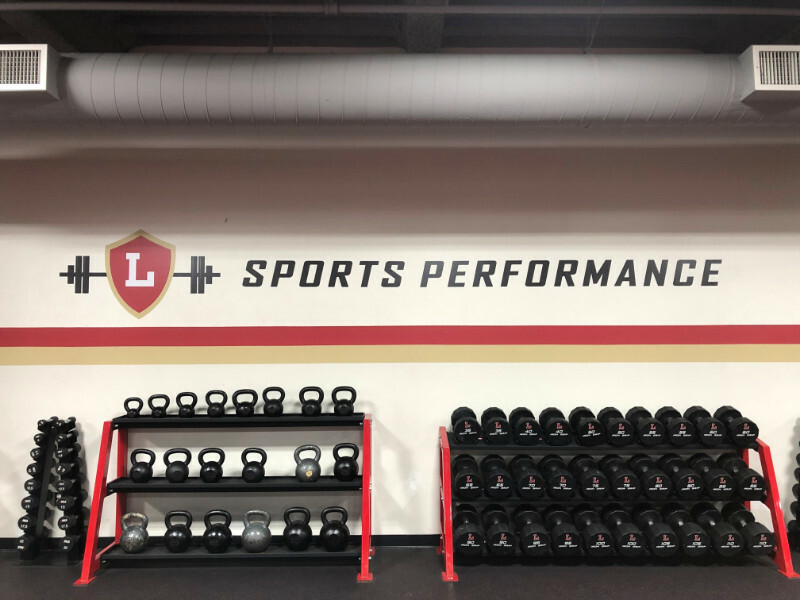 Orange Lutheran High School is a returning client. Superior Signs and Graphics has done a lot of work for this school. In the past, we put together wall graphics and banners, gymnasium graphics, and vertical pillar banners. 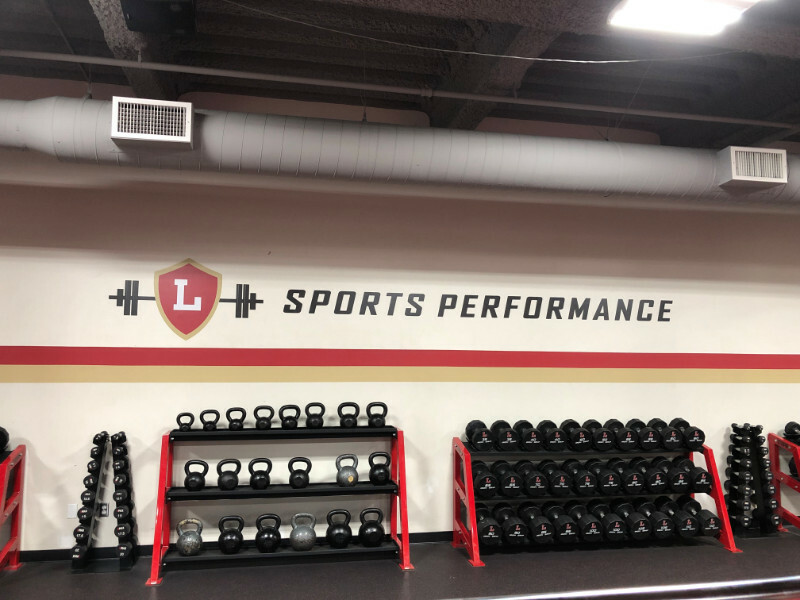 This time, the school contacted us to talk about adding wall graphics for the school’s athletics departments in Orange County, CA. Motivate your students with wall graphics! The 100-foot-wide gym wrap we did in the past for the athletics department was a great addition to the overall look and feel of the venue. However, this time the school wanted to undertake a beautification project that would benefit the weight room. There, students work on personal conditioning that prepares them for various sports. We met with the client to receive the specs for the project. Our technicians designed and produced the die-cut vinyl lettering and logo to add some school spirit to the locale. Similarly, it presents a brand message that the athletes buy into. Therefore, they feel inspired to work hard for their benefit as well as for the school’s teams. 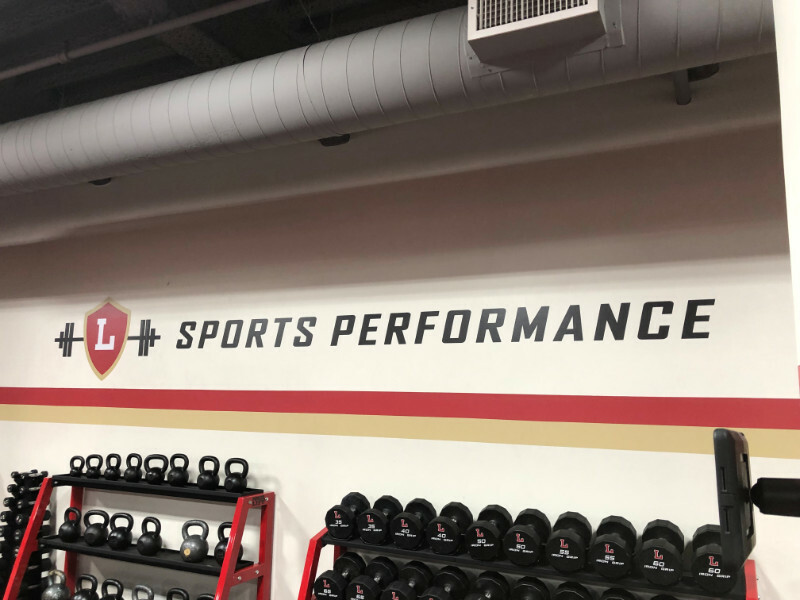 Now, the lettering and colorful logo presentation dress up the utilitarian space that the athletics department allocates to the weight area. It fits in perfectly with the overall color scheme of the setting. Ready to add pizzazz to your athletic department? You do not have to spend a lot of money to dress up an area that students use. 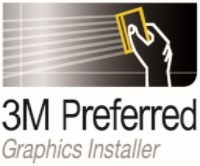 Wall graphics are among the least expensive signage solutions you can purchase. Most importantly, they can have a significant impact on the overall look and feel of a space. For example, did you know that you can cover the bland walls of a lab with scenes from old-fashioned laboratories that transport students back in time? In this way, the graphics add ambiance to the locale. Of course, you have other options open to you a well. Periodic tables. Dress up the chemistry lab with the periodic table. It’s an excellent addition for a focal wall. In addition to being a good-looking bit of wall art, the table is functional. Letters and numerals. For lower grades, there are typically cutouts of letters and numbers. Frequently, they show their ages if they are made of cardboard. When you opt for vinyl graphics instead, they remain looking like new for much longer. For classrooms. Such as those that include history, English, or other subjects with timelines, consider adding them to the room’s walls. They can be instrumental in helping learners put together the major events of a specific timeframe. Door wraps. Welcome students to the classroom or specialty area with door wraps. Introduce them to the subject, teacher, or add a whimsical touch to the overall design of the school’s hallways. Are you thinking of dressing up your gym or another area of the school? Our team can help. We work with your administration to put together an appearance that wows learners and encourages faculty and staff members. Similarly, it will look great for the next open house event your school hosts. Contact us today to begin the design process.